I own a 2002 XLE and had a part get torn clean off by road debris and am trying to get it fixed. I am having a lot of difficulty figuring out what the part is though, so I can buy and install a replacement. As near as I can tell, it seems to connect the rear bumper panel to the rear wheel well. 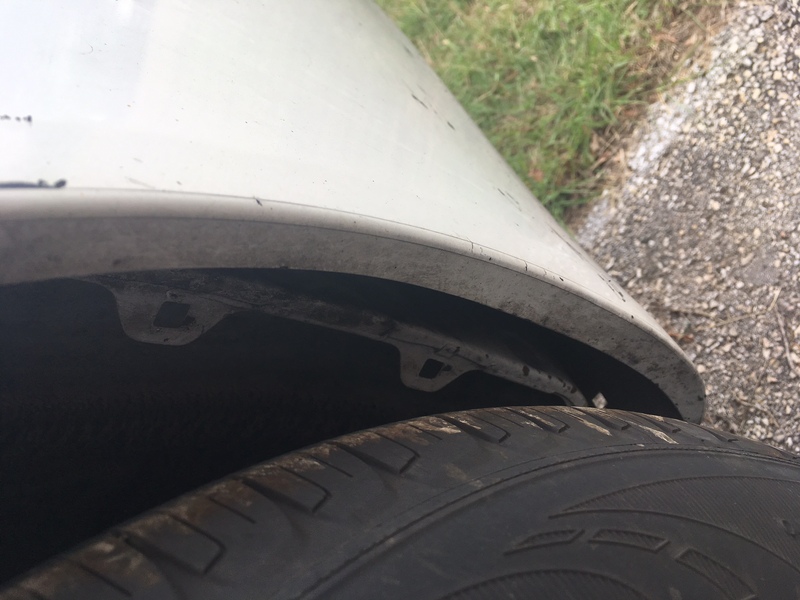 I have attached some pictures of the other wheel well where the part is still attached and the side where it's gone missing in the hopes somebody can help me identify this thing or point me in the direction of the part! Help me find a window part!